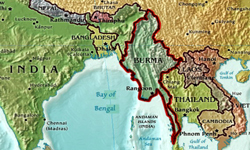 Burma, situated in East Asia, is bordered by India and Bangla Desh to the West, Thailand to the East and China to the North. It is about six times the size of England and Wales and shaped like a horse shoe with a central plain at its centre, surrounded by forested hills and mountains. The numerically dominant ethnic Burman group is located mainly in the central plain. The other ethnic peoples are situated mostly, but not exclusively, in the surrounding forested hills and mountains. Although statistics are unreliable, it is estimated that the Burmans, or Bamar,comprise 60-70% of the population. 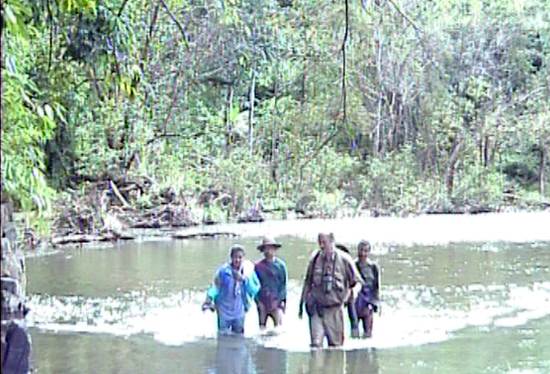 The other ethnic groups make up the remaining 30-40% and inhabit about 60% of the land area. Historically, the country has never been united. The various ethnic groups largely conceive of themselves as separate peoples. Politically, Burma is divided between an overwhelmingly dominant Burman military dictatorship, a mainly Burman democratic opposition led by Aung San Suu Kyi and ethnic groups struggling for autonomy within a Federal structure or independence. The present military dictatorship been in power since 1962.It has systematically inflicted human rights violations on a widespread scale, “Including the killing of women and children,” which according to a former UN Special Rapporteur for human rights, Rajsoomer Lallah QC, are “ The result of policy.” It annulled the election of 1990 in which the democratic opposition won 82% of the seats.It is now inflicting an undemocratic constitution on the country which it hopes to "legitimise" in an imposed election in 2010. The main focus of this website is to support the campaign to establish a UN Commission of Enquiry with a view to getting the military junta investigated by the International Criminal Court for crimes against humanity and pillar three of The Responsibility to Protect, "a timely and effcetive response." For years human rights violations in Burma has been largely ignored, but the pattern of ignorance, indifference, conscious disregard, misrepresentation and passive and active complicity is now being challenged. A belated attempt is being mounted to conceptualise the violations in terms of international law and insist that impunity be addressed. This includes, inter alia: the denunciation by the International Committee of the Red Cross, its first since Rwanda, of the Junta for violations of international law; a demand for a UN Commission of Enquiry and the provisional conceptualisation of the violations as Crimes against Humanity by five leading international jurists chaired by Richard Goldstone  ; a condemnation by Amnesty International of the Junta for inflicting crimes against humanity in eastern Burma ; a further condemnation of the Junta for inflicting crimes against humanity by the former Special Rapporteur, Professor Paulo Pinheiro and a condemnation of the Junta for violating international and humanitarian law in a collective statement by six UN Special Rapporteurs. The UN Special Rapporteur for Human Rights condemned the violations "As a result of State policy that involves authorities in the executive, military and judiciary at all levels", alleging they may constitute crimes against humanity and called for the establishment of a Commission of Enquiry. (Human Rights situation that require the Council's attention, A/HRC/13/48, paras 121,122,10, March, 2010). The Global Centre for the Responsibility to Protect affirmed the application of the doctrine to Burma and specifically called for the application of "Timely and decisive action" to a situation which "May constitute crimes against humanity and war crimes." (Global Centre for the Responsibility to Protect, Burma/Myanmar Policy Brief, March 2010, p.1, paras 7 and 8.) In short, we are now seeing a consensus emerging on getting the violations properly investigated by a Security Council mandated Commission of Enquiry, with a view to conceptualising them accurately and authoritatively, and establishing the means to address them, i.e. a referral to the ICC. Burma is the world's longest running conflict. The estimated number of casualties over the decades is 600,000 + with the last authoritative estimate back in 1999 running at approximately at 10,000 a year . In this context the Chicago Principle 1.4 affirming that there shall be no statutes of limitations to protect perpetrators is particularly applicable, given the scale and the extraordinary longevity of the violations. 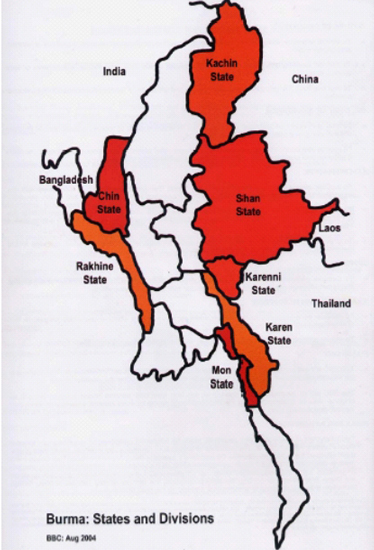 At the risk of gross oversimplification, the conflict can be understood in terms of a triangle involving three groups: the ethnic Burman dominated military dictatorship on the one hand; the similarly dominated democracy movement, led by Daw Aung San Suu Kyi, on the other, and the third, involving ethnic peoples campaigning for varying degrees of autonomy, federalism, independence or survival. Within that grossly oversimplified categorisation there are numerous factions and splinter groups. It is this author's view that the ethnic factor is not marginal, but central to Burma's tragedy. It pre dates and underpins the current political conflict between the dictatorship and the democratic movement. The conflict has its roots in the country's history. Prior to British colonisation Burma had never been a united country. Although there were times when one or more groups achieved hegemony, the various ethnic groups were frequently in conflict with one other. During the period of British rule, a temporary, imperfect order was imposed, but grave injustices were inflicted which contributed to the subsequent tragic history. In particular, the British discriminated against the largest ethnic group, the Burmans, in favour of other ethnic groups, particularly those which had converted to Christianity. 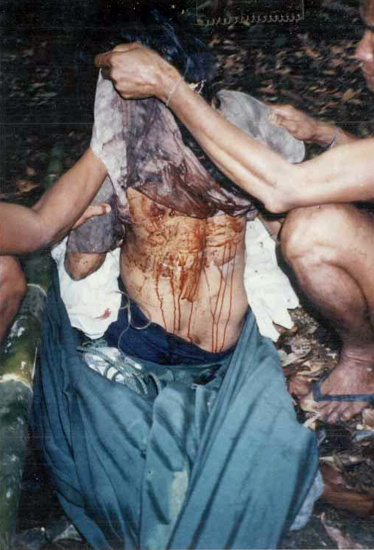 In addition, the British inflicted grave crimes, such as the massacre of Burman peasant farmers at Saya San in 1936. The seeds of future conflict were thus sown in Burma's colonial and pre colonial past long before the country gained its independence in 1948. The stage for disaster was set, however, with the assassination of General Aung San and his multi ethnic cabinet in 1947. Despite the establishment of a weak democratic government in 1948, the country immediately began to disintegrate along ethnic and political lines. Although democracy survived, it was finally overthrown in 1962 with the assumption of power by General Ne Win in a coup motivated by the desire to prevent a Federal State from being established, or outright secession being granted . The military dictatorship has remained in power since 1962. It is based on a narrow nationalist ideology committed to uniting the country by inflicting a policy of Burmanization on ethnic groups while at the same time suppressing democracy. It consists of a self-perpetuating group of overwhelmingly ethnic Burman army officers, who have conflated their own ethnicity with national unity, basing their notion of identity on race rather than citizenship . This involves physical destruction of other ethnic civilian groups where resistance occurs ; slow, uneven assimilation once “Peace” is established and systematic persecution of democratic activists . An exception to the policy of assimilation is the fate of the Moslem Rohingya minority in the west, who are denied citizenship rights and forced to flee from a combination of deliberately inflicted, unendurable conditions into Bangla Desh. In conclusion, the raison d'etre for the regime's retention of power was, and is, to prevent democracy from becoming established because it would lead to Federalism, ethnic autonomy and, in the view of the Junta, disintegration of the Union. Such an understanding influences how violations should be conceptualised in terms of international law. Those systematically inflicted on a widespread scale intended to suppress, persecute and, if necessary, physically destroy the movement for democracy are best conceptualised in terms of crimes against humanity; the targeting of ethnic civilians in areas of internal armed conflict activates Article 3 of the Geneva Conventions ; the indirect and direct methods of destruction of substantial parts of ethnic groups targeted on the basis of their ethnicity, especially in the free fire zones and relocation sites in eastern Burma , triggers the Genocide Convention, especially as expressed in article 6 (c) of the Rome Statute . The systematic, widespread persecution of all opposition groups can best be described as the Crime against Humanity of Persecution . Much of the deliberations on Burma lack a moral compass, thereby contributing to the ineffective response of the international community. In such a climate the 1990 election must be re-affirmed. The National League for Democracy won 82% of the seats and its sister party, the ethnic United Nationalities League for Democracy, won an overwhelming majority in non Burman areas. The total vote for the democratic parties, implicitly committed to a Federal democracy, was, I understand, about 76%. The election established a benchmark now often ignored, downplayed, undermined or misrepresented. It clearly distinguishes Burma from other undemocratic failed States such as North Korea. Moreover, the Junta's abrogation of the election means it bears an especially high level of moral responsibility for the violations inflicted since 1990. Despite overwhelming evidence, there has been a sustained failure to communicate and respond to the scale, gravity and systematic nature of the human rights violations. The question needs to be asked: why? As well as inflicting violations, the regime has failed to disclose information, frequenly refused to allow UN Special Rapporteurs to operate effectively in the country and suppressed and attempted to terrorise the opposition and human rights groups into silence. The international community has failed to respond effectively to the violations. In particular, UN Special Rapporteurs for human rights although repeatedly condemning the systematic and widespread nature of violations, have failed to conceptualise them as crimes against humanity. In particular, the question of intentionality underlying the destruction of more than 3,600 ethnic villages in eastern Burma has been disregarded. "Policies that seek justice for past violations should be victim centred and should address victim's rights to remedies and reparations." This behaviour has resulted in the very failings condemned by the UN in its assessment (the Brahimi Report, 2000) of its own failures in Rwanda and former Yugoslavia: ineffectivness and passive complicity. "Impartiality for United Nations operations must therefore mean adherence to the principles of the Charter: where one party clearly and incontrovertibly is violating its terms, continued equal treatment of the parties by the United Nations can in the best result in ineffectiveness and in the worst may amount to complicity with evil." Neutrality may involve inadvertent, passive complicity . By consciously disregarding the gravity of the violations and their underlying intention; accepting an operational framework where aid is specifically prevented from reaching the most desperate, i.e. the internally displaced; providing fungibility funds; refusing to address root causes and expose much of the life threatening “Poverty” as a result of policy, i.e. the deliberate deprivation of resources, they may be responsible for precisely that form of inadvertent, passive complicity denounced in the UN's Brahimi report. Some even appear to endorse a form of development inextricably involving the infliction of crimes against humanity  . Most NGO's, with the notable exceptions of MSF France and the ICRC, have maintained silence, particularly about the systematic destruction of the 3,600 villages and the brutal crackdown of the saffron uprising . In conclusion, although the suffering in Burma has been largely inflicted by the Junta, not by natural conditions, it has also been sustained, intentionally or otherwise,by the silence of much of the international community. Although systematic destruction as been inflicted for decades, studies conducted by the Thai Burma Border Consortium show over 3,600 villages have been destroyed since 1996 affecting over one million people. (See reports on internal dispalcement by ThaiBurma Border Consortium,tbbc.org).The number of villages, largely corroborated by the former UN Special Rapporteur , is greater than the number destroyed in Darfur. Probably more than 300,000 have fled to Thailand as refugees. TBBC estimates that in 2007 there were conservatively still some 500,00 internally displaced persons in eastern States and divisions of Burma bordering Thailand, including at least 99,000 in free fire zones, 295,000 in ceasefire areas and 109,000 in relocation sites. Meanwhile the population in the border camps was just under 140,000 at June 30 . This is the area where violations are inflicted mainly on the National League for Democracy and the political opposition. 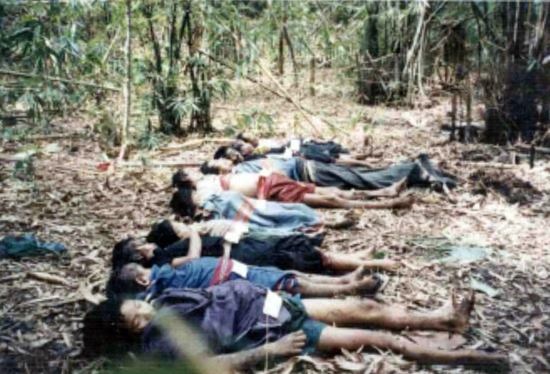 About 80 monks were killed in the saffron uprising of 2007; 70 people were killed during the massacre involving “A prima facie case of State connivance” of Daw Aung San Suu Kyi's convoy at Depayin in May 2003; thousands of civilians were killed during the democracy uprising in 1988, including some inside Rangoon General hospital . Political prisoners numbering 2,211, are made up of cyclone aid workers, MP's, students, Women, NLD members, human rights workers and ethnic prisoners . This includes the Arakan, Chin and Kachin States. Rohingya refugee figures are as follows: 200,430 refugees in Bangla Desh with an additional 25000 in makeshift camps . It should be noted that these people have fled into one of the poorest counties in the world where they are bitterly resented and have been subjected to coerced repatriation. As regards the Chin there are estimated to be about 60,000-80,000 living on the Indian border. Tens of thousands have fled into China from Kachin and northern Shan States, including thirty thousand Kokang Chinese in August 2009. In Burma there is little prospect of post conflict justice in the foreseeable future because of the unlikelihood of a political transition.Any "Peace" will be the peace of subjugation. The Chicago Principles of Post Conflict Justice may thus appear irrelevant in the present situation. However, such a belief would be illogical and immoral: it is precisely situations such as Burma today where international law must surely be most energetically applied. Although the challenges are formidable they are not insurmountable. The corroborated evidence exists; international law is sufficiently developed to conceptualise the evidence; successful applicable enforcement mechanisms exist. States shall not grant blanket amnesty to absolve individuals of responsibility for genocide, serious war crimes, or crimes against humanity. However, opposition outside the country is largely supportive of the need to address impunity. There is now a growing movement on the need for a Commission of Enquiry to refer the Junta to the International Criminal Court . Burma is a predominantly Buddhist and animist culture where there is limited understanding of retributive and restorative justice. From such a perspective, this life is understood in terms of cycles of reincarnation where retribution awaits perpetrators in the next life. In such a context the Chicago Principles, Context Specific Strategies, are particularly relevant. A legal initiative based on western approaches will need to be integrated with the Burmese Buddhist tradition. The term used to describe the dominant ethnic group in lowland Burma. Burmese refers to all the people of Burma. Rome Statute Article 6 (c) footnote 4 clarifies indirect destruction as: “. . . may include, but is not necessarily restricted to, deliberate deprivation of resources indispensable for survival, such as food or medical services, or systematic expulsion from homes. For example: “The human rights violations, including the killing of women and children . . . are the result of policy entailing legal and political responsibility”, Rajsoomer Lallah QC, Report to Economic and Social Council, para 58, July 1998. Expert counsel from the Rwanda Tribunal confirms that an intent to commit genocide could be legitimately inferred from destruction of ethnic groups when inflicted on such a scale, interview Peace Palace, The Hague, 2009. Executive Summary, Brahimi Report on UN Peacekeeping Operations, August 2000. Passive complicity defined as “Failing to act on the knowledge that crimes are being . . .committed, or failing to prevent them happening, despite having the means to do so,” “Complicity with evil, Preface, A. Lebor, YUP, 2006. 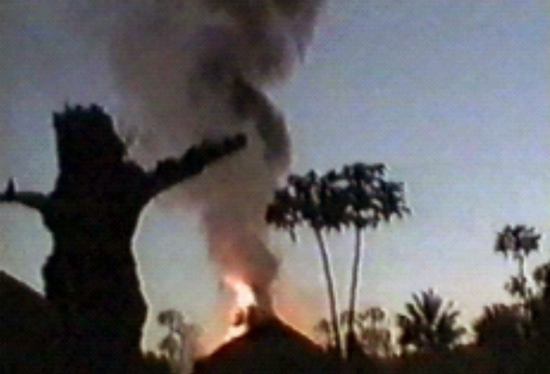 Aid used by a regime to reduce its responsibilities to its own people, “Dying Alive,” Guy Horton, para 5.15, Images Asia, 2005. “Aid to the Border Areas”, International Crisis Group, 2004. “Our role . . . reduced to their political agenda and no longer to the goal we have set ourselves as an humanitarian organisation,” Statement MSF France, March 2006. 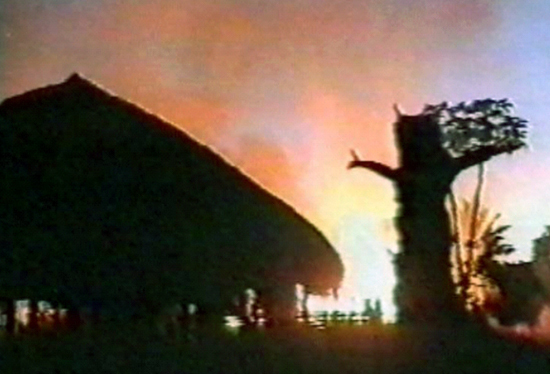 “Operation Storm,” Sept Oct. 1991, survivors testimonies, “Dying Alive,” Guy Horton, pub. Images Asia, 2005. See, e.g. the Karen Human Rights Group website, khrg.org and UN Special Rapporteurs Reports, 1992-2009.